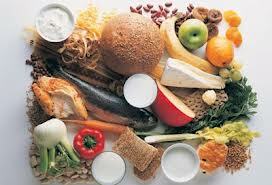 DIET – Hmm a word that most think of as cutting back on delicious food for a short time while they lose weight. The word diet should mean that it’s a specific nutrition plan or lifestyle that you are on for a life time or a very long time. A diet is where you eat foods that are good for you as well as the odd treat so you don’t go crazy. Your diet should cover all your Macros(Protein, Carbs, and Fats), as well as your Micros(Vitamins, and Minerals). Should include fruits, vegetables, berries, nuts, meats(if you eat meat) and etc,. Sounds simple right? Well not if you look at all the different diets, books, meal plans, and etc,. that are advertised like crazy in magazines, on the televisions, and across the internet. WHich diet is best? There is no real best diet when you are eating healthy. It all depends on your body type, genetics, goals, activity levels, and etc,. 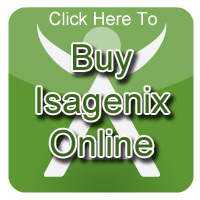 What I recommend you do and I have done it as well is go see someone like a dietician or a naturopathic doctor. I personally have used Dr. George Tardik. He helped me clean up my already pretty clean diet and got my nutrition in order for my goals and lifestyle. Here’s a link to his website if you are interested. And if you decide to go check him out, tell him I sent ya! Okay so tell me what your last meal looked like. Did it have “foods” from the picture on the left or the picture on the right? I am hoping you said you had food from the picture on the left because the foods from the picture on the right are not real foods. Yes they are very tasty and look very good with all the bright pretty colours but they are not good for you. 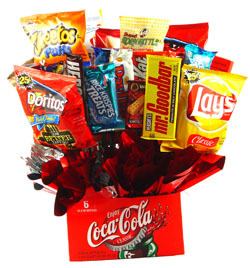 They are full of sugars, fats, food colouring, artificial flavouring, salt, sodium, preservatives, and what nots. Foods from the left picture are full of your essential macro nutrients(Carbs, Fats, Proteins) and micro nutrients(Vitamins and Minerals). Your diet should consist of foods that your great grandparents or your great great grandparents would recognize as foods. I seriously doubt that they would recognize the Lays Potatoes bag all bright and yellow or the signature red and white of the Coca Cola bottles and cans. Or would they be able to pronounce Doritos or Cheestos. Probably not. My spell check doesn’t even recognize them as words. But I can bet you they would recognize the foods from the left picture. There is chicken, peppers, apples, beans, cheese, oranges, potatoes, grapes, coconuts, bananas, and all kinds of other foods along that line. So so many real foods out there to eat and try. And the more colours the better. Now I am not saying stay completely away from junk foods and treats. You are certainly more then allowed to treat yourself. In fact it is encouraged. Strongly encouraged. Just limit your treats. You can have a treat once every few days or you can leave them to the weekend and have some extra. During special occasions and holidays by all means treat away. Just make sure the you recognize the treats are just treats and not part of your regular healthy diet.